PERSIA, ACHAEMENID KINGS. Ca. 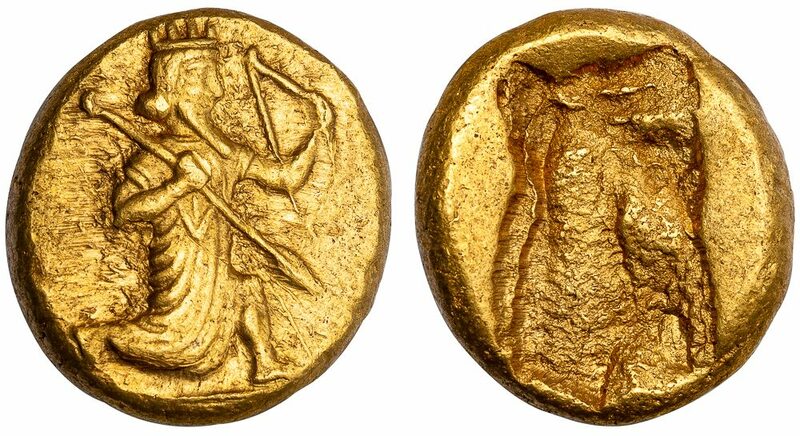 400-336 BC. Gold Daric, 8.28 g., 17 mm, minted ca. 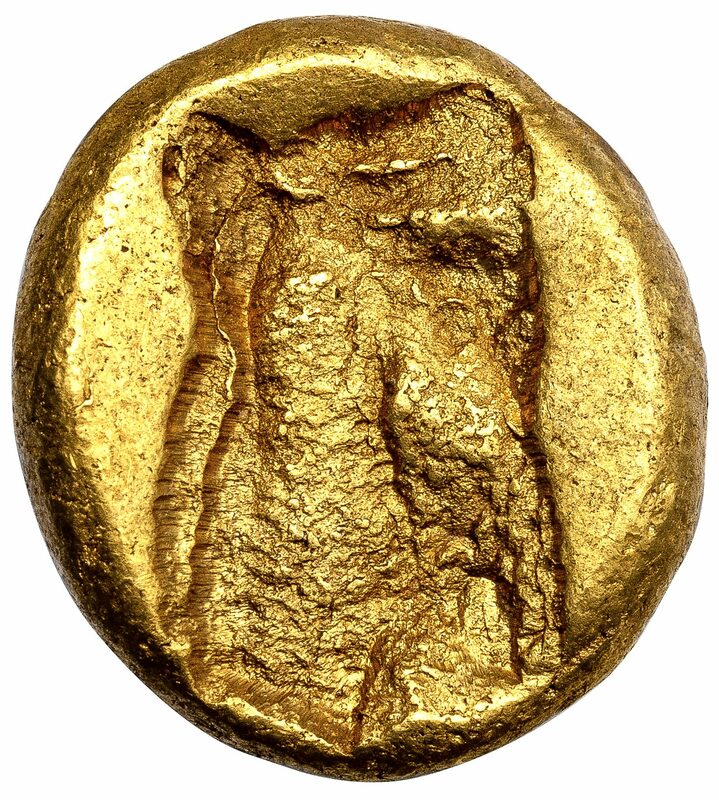 350 BC. Obv. 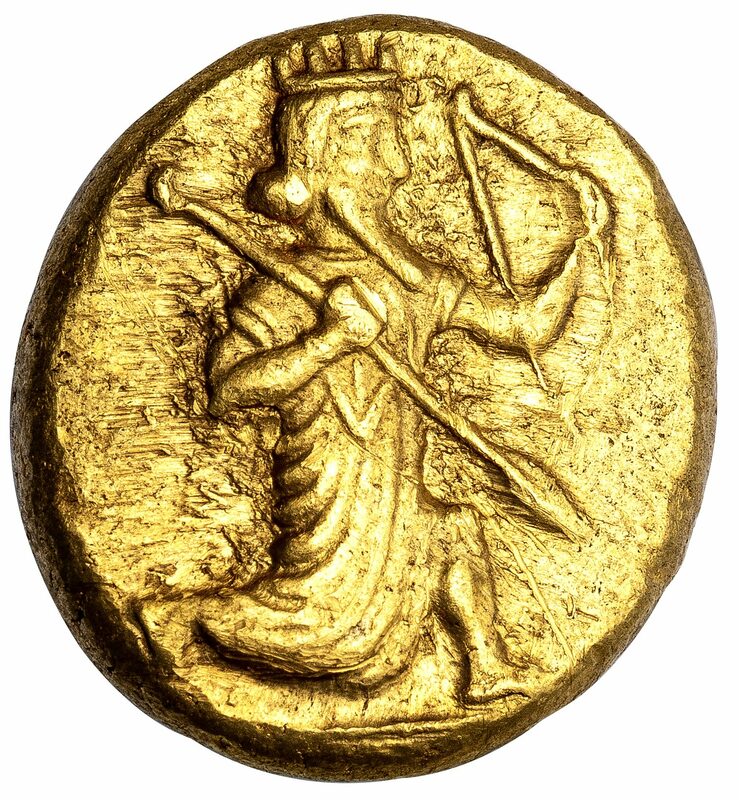 King running right, carrying bow and spear, quiver on shoulder. Carradice Type IV, 50; Sunrise 28. 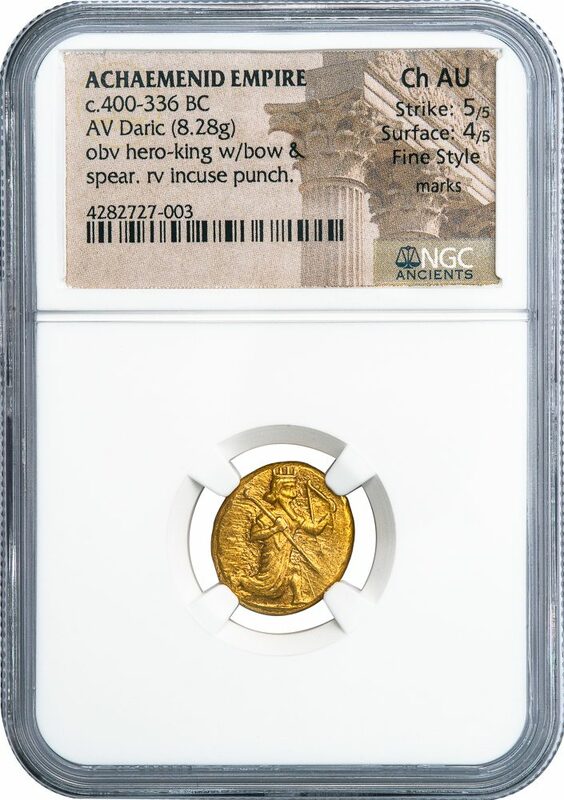 NGC graded CHOICE AU, Strike 5/5, Surface 4/5, FINE STYLE, “marks”, a stunning and exceptional specimen of a scarce Daric variety.